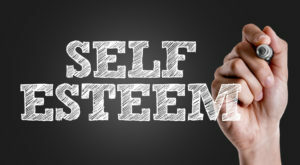 Your self esteem can affect how you live your life, and the overall quality of your life. If you feel like you are suffering from low self esteem, you should take steps in the right direction to boost it, in order to feel more secure in who you are and more happy in general. It’s time to take steps forward to silence the voice in your head that is always there questioning your thoughts, decisions, and actions. Try and identify what it is, if anything, that may have led you to this point. Were you bullied? Did you ‘fail’ at something? Did someone abandon you? Have you suffered from other things linked with security issues, such as an eating disorder, etc.? Have you encountered relationship issues? Or maybe this is something you have felt like you have been dealing with from when you were a child. Whether or not you are able to identify sources or not, it may help to speak to a self esteem therapist in Carrolton. Sometimes, there is no link, sometimes it is difficult for one to pinpoint any particular thing that has encouraged their feeling this way. Learn to accept positive feedback from others. Many people who suffer from low self esteem, are unable to accept compliments or words of affirmation. When someone addresses you positively, say “thank you,” or the appropriate positive response. Then, remember in your head, this person isn’t saying this just because, they are saying it because it is how they feel, and they see it as true. Stop negative thoughts and self-criticism. If you find yourself criticizing yourself, talking down to yourself, or thinking badly of yourself, stop. Try and see yourself, as someone you love. Would you think and say those same negative thoughts about a loved family member or friend? Most likely not. Start seeing yourself from an outside perspective of someone who loves you. And start trying to love yourself. “Comparison is the thief of joy” – Theodore Roosevelt. Try and avoid comparing yourselves to others. Many times, we have people on a pedestal. We think their life looks to be so great, so perfect, but just remember, we all have our issues. No one is perfect. Try and focus on the good qualities of yourself as opposed to the ‘good’ qualities of others that you wish you had. If you see someone kind, then yes, strive to be kind. But if you see someone who you think is ‘better looking,’ let the comparative thoughts leave your mind. Sometimes it’s hard for us to see our own beauty, but it is important that we learn to identify the things that are beautiful about ourselves, because there is something beautiful just in that you are you. Spend time around people who love you. Talk to them about how you are feeling. A family member or friend that you love is likely to remind of you the great things about you, or the great things that you have done. Let them, and accept the things they say. Work on being more assertive. Sometimes people who have low self esteem, are busy thinking way too much about other people, and what other people may think. Sometimes they try and constantly please other people, and they can have a tendency to put others above their own happiness. If this is you, you need to learn to cherish your own happiness. Learn to say no to things that aren’t going to be good for you or things that you don’t want to do. Learn to take control of your own decisions. If you are suffering from feelings of low self esteem, you are not alone. If you are looking for a Dallas counseling center, look no further. Here at Lifeworks, we are a caring and passionate team of counselors that can help. Contact us today, and let us help you start feeling like you again.